It may be true that we’re naturally drawn to symmetry. But it doesn’t mean that we can’t spice things up every once in a while. Whether you’re an illustrator, architect or fashion designer, an asymmetrical grid layout can shed a totally new light on your works. Notice how the website featured below does just that, resulting in minimalistic visuals and a sense of harmony. The fun doesn’t stop here. Boast more of your art by linking each image on your grid to an inner project page. 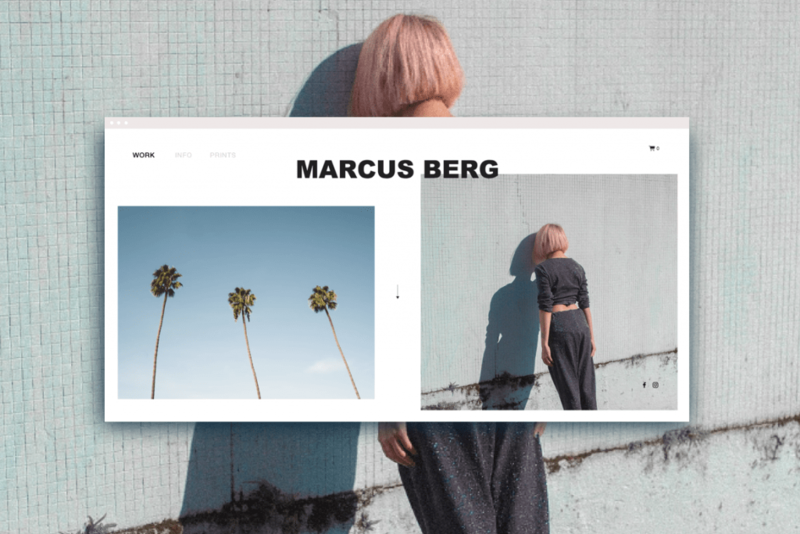 This way, you can create full in-depth galleries and enrich your online portfolio. To discover how to achieve that same clean look and maintain a unified visual language throughout your website, just hit the “Play” button, and follow the steps of this video tutorial. Ready to put it into practice? Get behind the scenes of this Wix demo-site, and start playing.